November is election month, but that doesn’t stop the deals from being offered. In fact, the best car deals and incentives, November 2012, may be just what you’re looking for to get into a brand-new car. Note that deals from GM (Chevrolet, Buick), Ford and Kia are good through January 2, 2013. Expiration dates on deals and incentives from other auto companies vary, as indicated. Toyota deals were not available as of this posting. 2012 Chevrolet Camaro – Depending on model, buyers can take home $500 cash or take advantage of zero-percent financing for up to 72 months. 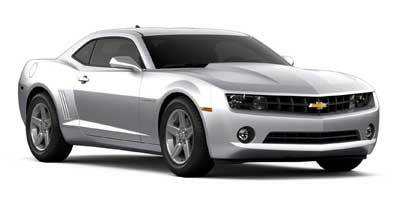 2013 Chevrolet Camaro – Lease the 2013 Chevy Camaro LS Coupe for 36 months at $259 per month and pay $1,179 at signing. 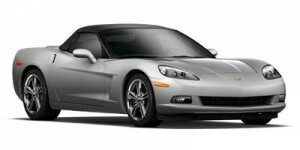 2012 Chevrolet Corvette – Buyers can take home $3,500 on the 2012 Chevrolet Corvette or get zero-percent financing for up to 72 months. 2012 Buick LaCrosse – Buyers can get $2,000 cash back or zero-percent financing for 60 months on the 2012 Buick LaCrosse sedan. 2012 Buick Verano – The compact 2012 Buick Verano is available to purchase for 1.9 percent financing for 60 months or $500 cash back. 2012 Chevrolet Cruze – Buyers can get zero-percent financing for up to 60 months on the compact 2012 Chevrolet Cruze or take home $500 cash. 2013 Chevrolet Cruze – Lease the 2013 Chevy Cruze for $179 per month for 36 months and pay $2,329 upon signing. 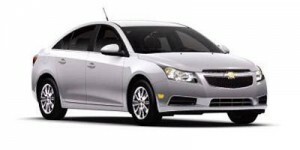 Offer applies to Cruze with automatic transmission. 2012 Chevrolet Malibu – The midsize 2012 Chevrolet Malibu comes with $3,000 cash back or zero-percent financing for up to 60 months on a purchase deal. 2013 Chevrolet Malibu – Lease the 2013 Chevrolet Malibu LS for36 months at $199 per month with $2,479 due upon signing. 2012 Chevrolet Impala – Buyers can get $3,500 cash back or zero-percent financing for up to 72 months on the 2012 Chevrolet Impala full-size sedan. 2013 Chevrolet Impala – Chevy is offering both purchase and lease deals on the 2013 Impala sedan. Buy the Impala sedan and get $2,000 cash back. Or Lease the 2013 Impala LS sedan for $299 per month for 39 months with $3,289 payable upon signing. 2012 Ford Focus – Purchase a 2012 Ford Focus S sedan model and get $1,500 cash back or 1.9 percent financing for 36 months, 2.9 percent for 48 months, 3.9 percent for 60 months, or 5.9 percent for 72 months in most regions. In the Northeast and Northwest, get $2,000 cash back or zero-percent financing for up to 60 months, or 1.9 percent for 72 months on the purchase of Focus SE, SEL and Titanium sedans. The same offer applies to Focus SE, SEL and Titanium hatchback models in all regions except the Northeast, where the choice is $2,000 cash back or $500 cash back and zero-percent financing for 72 months. 2012 Ford Fusion, Fusion Hybrid – Buyers can get up to $3,250 cash back or $1,750 cash plus zero-percent financing for up to 60 months, or 1.9 percent for 72 months, on the 2012 Ford Fusion Hybrid in most regions. In the Southwest, the maximum cash-back offer is $4,250, with the same other financing offers. On the gasoline-powered 2012 Ford Fusion, the cash-back is similar: $3,250 ($3,750 in the Southwest), or $1,750 cash plus zero-percent financing for up to 60 months, or 1.9 percent for 72 months. 2012 Ford Taurus – On the purchase of a 2012 Ford Taurus sedan (LTD, SEL or SHO), buyers can get $3,500 cash back in the Northeast, Southeast ($3,000 in the West and Southwest), or $1,000 cash back ($500 in the West and Southwest) and zero-percent financing for up to 60 months or 1.9 percent for 72 months. In the Northwest, the purchase offer is $3,000 cash back or special financing. 2012 Hyundai Sonata Hybrid – Go green and still make out with the purchase of the 2012 Hyundai Sonata Hybrid midsize sedan this month (through November 30, 2012). Get $1,000 cash back plus zero-percent financing for 60 months, or 0.9 percent for 72 months. 2012 Kia Forte – Get $1,500 cash back plus 1.9 percent financing for 36 months on the purchase of the 2012 Kia Forte. 2012 Kia Optima – Buyers can get $500 bonus cash plus 0.9 percent financing for 36 months or 1.9 percent for 60 months on the purchase of the 2012 Kia Optima midsize sedan. 2013 Kia Optima – Lease the 2013 Kia Optima midsize sedan for $199 per month for 39 months, with $2,399 due at signing. Or, purchase the Optima and get 0.9 percent financing for 36 months or 1.9 percent for 60 months. 2012 Mazda Mazda5 – Get into the 2012 Mazda Mazda5 and take home $500 cash plus get zero-percent financing for up to 60 months. Offer expires November 30, 2012. Bring on the end of the year incentives! All of these cars sound like a good deal, but the majority of people still buys Japanese cars I believe…. How about Honda and Toyota? I think Honda is running a good special now! ?